The health service in England spends around 10% of its budget on treating diabetes. Researchers found diabetes patients who required regular self-injections of insulin were particularly vulnerable. 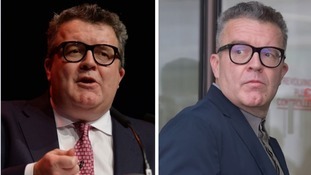 The Labour deputy leader and "former sugar addict" has lost more than seven stone since his 50th birthday last year. Working more than 45 hours a week holds a higher risk, researchers found. Researchers found taking the drugs was associated with a 36% heightened risk of being diagnosed with type 2 diabetes. Could changes to diet could prevent or even reverse diabetes and help the NHS cut some of the £10 billion annual spend on treatment? Up to 100,000 people in the UK with the condition should be given weight-loss surgery, world experts have said. Study on 'gestational diabetes' suggests that under current guidelines women most at risk are screened too late.